Apply twice daily to cover the affected skin areas. Wet the area to be treated, apply the preparation to the hands and wash the affected area with the gel. Avoid contact with eyes, eyelids, lips and other delicate areas of the skin. May bleach hair and dyed fabrics. 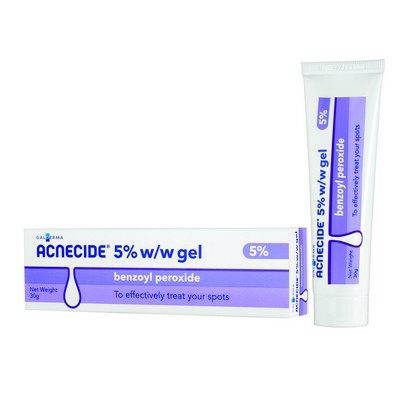 Active ingredient: hydrous benzoyl peroxide - equivalent to benzoyl peroxide 5% w/w. Also contains: acrylates copolymer, glycerol, carbomer 940, sodium c14-c16 olefin sulfonate, sodium hydroxide (for ph adjustment), purified water.